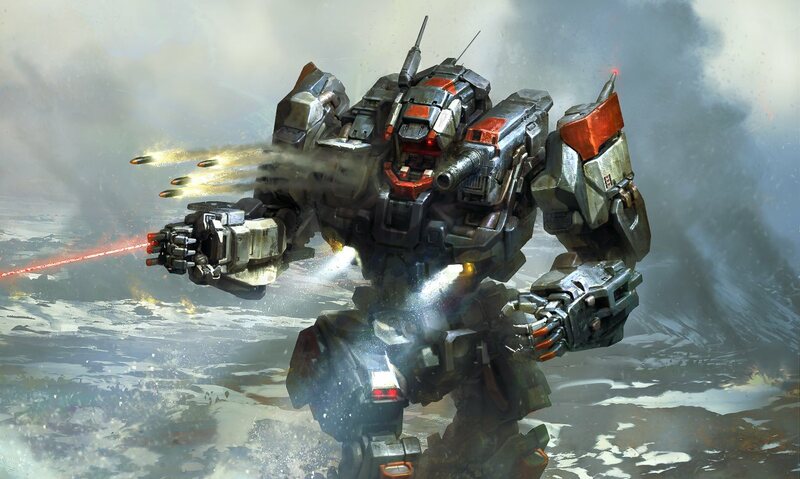 BattleTech Early Review – It’s Real Good! 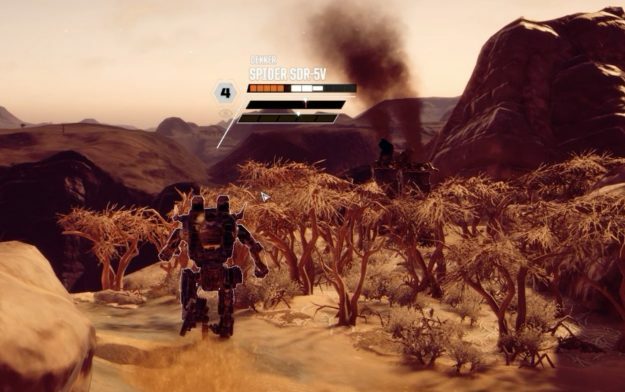 BattleTech is here, and it is much better than any of us could have hoped. It’s not perfect, mind you, but it is a fantastic success financially, so whatever is wrong we can expect to eventually be fixed. And since what is right is so very, very right, then any true BattleTech fan owes it to themselves to get their hands on this game. I won’t lie to you: I’m nowhere near done this game. Unfortunately, the life of a writer doesn’t provide nearly as much free time as my cavalier attitude and love of giant stompy robots would have you believe. 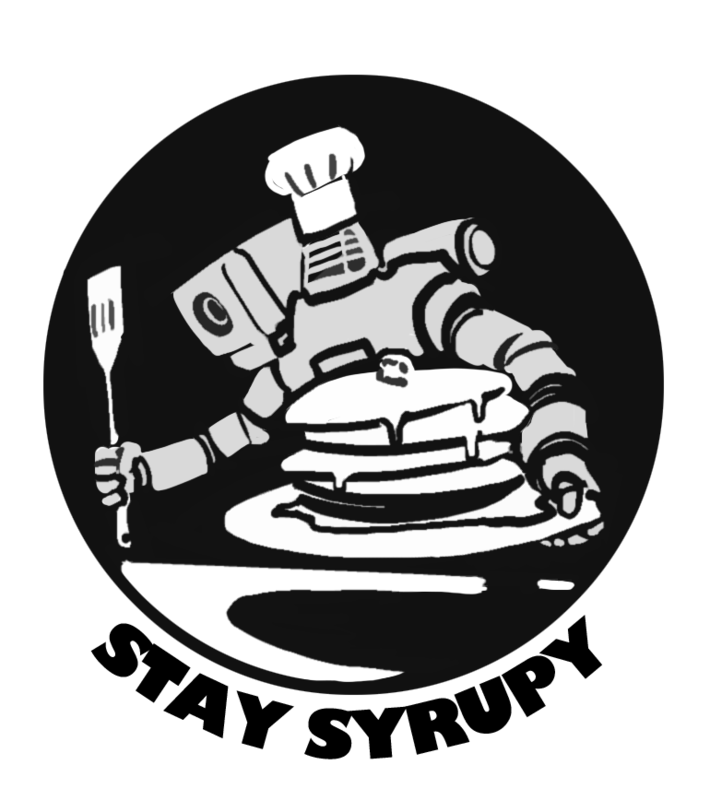 And what few hours I have throughout the week to devote to this game I do so lovingly, without any desire to rush through the campaign just so I can give you, my dear reader, a complete opinion on all aspects of BattleTech. I want to savor this. So consider this an early review. I’ve finished the first main story quest and fetched the Argo from its moonlit prison, but I’m doing quite a few randomly generated contracts to level up my pilots and amass as much riches as possible. As I said before, I’m in no rush to get through the story campaign. And besides, rushing would vastly increase the difficulty of the game, and I am far from a pro-BattleTech player, if such a thing exists. Let’s get the bad out of the way right off the bat. Soon after this game’s release, there was a bug that caused the save file to seem to disappear when the player loaded the game. It wasn’t actually gone, and simply reloading the game would make it appear again, but it was a shock for me after I’d accumulated a few hours only to find I couldn’t click “continue” after sitting down for some good ol’ ‘Mech action. A quick perusal of the BattleTech subreddit notified me of the solution, but it was a few minutes of ire I’d rather not have suffered. Incidentally, the game doesn’t seem to have that issue currently, so they may have cleared that up altogether by the time you read this. This game immerses the player in the BattleTech universe more than any other game before. The loading times are also a little bit long. My rig is by no means a beast, but she does have a solid state drive and a decent processor, so waiting 30 seconds for a level to load is a little much. It harkens back to the days of waiting up to minutes at a time for Skyrim to load, and I have no desire to return to such dark times. There’s also a bit of slowdown after running through a few missions. Another Reddit post said this is largely an issue with the Unity engine the game is built on, and deleting old save files seems to help. I’ve done so and it has helped a bit, but further optimization from the developers seems necessary here. Finally, the voice actors are a tad on the cheezy side. I think comparing this game to MechCommander is a little unfair since BattleTech is vastly different and also vastly better, but MechCommander had a few more memorable voice lines, in my opinion. Of course, I may have just not unlocked the pilot with the best lines yet. Those are my only gripes. One has already been corrected, and the others are likely to be corrected in the coming weeks. Now for the good, which I will also say right off the bat, does far more than just mitigate the bad. This game immerses the player in the BattleTech universe more than any other game before, except possibly MechWarrior 2: Mercenaries. The game starts with a perfunctory tutorial and then immediately douses the player with a hefty dose of political intrigue. That’s all following the opening cinematic that summarizes the last 1,000 years of human development. And unlike most other BattleTech games, this one actually shows the transition from DropShip to JumpShip to planet. There’s nothing better than watching your Shadow Hawk charge into an enemy Panther at full speed and take off it’s PPC arm at the shoulder. 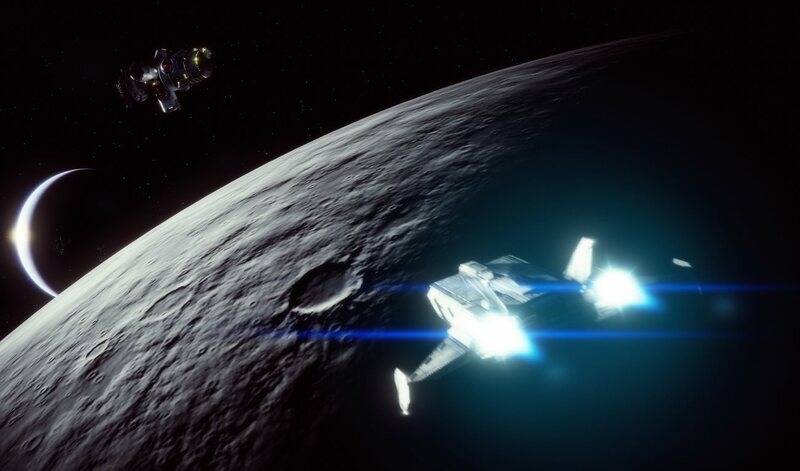 To make things even more immersive, those transits between planets and contracts occasionally have random events that can have real consequences on your company’s performance, either costing cash or possibly providing your pilots a buff. But the best part, by far, is the actual ‘Mech combat itself. There’s nothing better than watching your Shadow Hawk charge into an enemy Panther at full speed and take off it’s PPC arm at the shoulder. The camera seems to know the best angles to show the carnage. Even just stomping through a forest is made interesting just by having the camera provide a low-slung angle that makes your ‘Mechs appear exactly as large and intimidating as they should be. The game mostly follows the BattleTech lore when it comes to ‘Mech construction but for a few differences. There’s a few extra critical slots on the center torso and legs, and armor and damage values don’t precisely line up. This is a good thing, frankly, as it means that AC/2s are actually worth using, but it can be a little confusing to not have the same damage values we all remember. In general, though, a Locust will still die from a few solid hits of virtually anything, while an Atlas will take all day to bring down. As expected from the same developers that made the Shadowrun series, the music and sound effects are all top notch. The music reminds me of the same sort that was presented in Shadowrun: Hong Kong, all orchestral and momentous during combat but gentle and soothing during downtime. Those of you lucky enough to be Kickstarter Backers will have the whole BattleTech album to download and listen to at your leisure. One last thing that surprised me was the character building stage, which not only provides for a surprisingly in-depth selection of skin tones, facial expressions, and even camera angles for your portrait but also starts on the pronoun “they” in case you don’t want to conform to the whole gender binary thing. I could go on about all there is to love about this game but I’d be heading into spoiler territory pretty quick. Let it be known that this game is everything we hoped it would be and more. It’s also been a huge success for Harebrained, so we can likely expect to see some paid DLC coming out real soon. This entry was posted in BattleTech Game, Reviews, Video Games on 2018/05/03 by Sean. I have absolutely loved Battletech so far. Currently proceeding through the campaign at a leisurely pace thanks to having a full time job. I must be one of the lucky ones as I have not had any crashes or save glitches and the loading times have been acceptable. My only real issue with the game is the AI, it’s a bit silly when the 20 ton Locust runs up to my entire lance of 50+ Ton Mechs and tries to take out the hunchback with machine guns. I would have preferred to see a system where enemy Mechs would try to disengage and flee the battlefield after sustaining a critical amount of damage or being completely outgunned, leaving the player with the choice to chase it down for more salvage or let it go to avoid further combat damage. Thinking back I believe Crescent Hawks Inception / Revenge had a system where escaped Mechs would come back in later missions. I am not a big a fan of the music as some others, while the atmospheric music is perfectly appropriate I would much rather be bearing down on my enemies to a bit of Hard Rock or Metal. Personal preference. Part of the reason that the Harmony Gold lawsuit was dropped is because they agreed not to use those models. Incidentally this is the reason that the Black Knight and the Catapult K-2 are in the game. HBS knows that neither of those mechs would be common but they needed mechs to fill the ranks of heavy mechs. Last I recall the case with HBS ended because the court recommended HG to drop it, not because HBS agreed not to use them. Right now the case is still going on with PGI, who own the redesigns for the unseen, so if PGI wins then HBS should be able to add them to Battletech. The HG lawsuit ended in a settlement. Part of that settlement may be an agreement not to use the Unseen. Though it wasn’t stated, it seems to be part of that agreement since we had screenshots of a marauder in an early build demo. There was no settlement. HG’s case vs Harebrain was dismissed with prejudice. Now their case still isn’t resolved with PGI, and HB got their models for the unseen from PGI, so that is why the models are not yet in game. They can’t add them until PGI is in the clear. 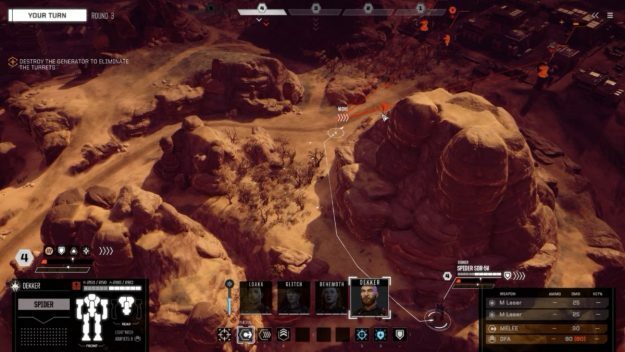 Thanks for the shoutout to our subreddit, battletechgame. I’m really enjoying it and trying not to rush through it, though there are times when the story edges me forward a bit more and I go for it anyway. I’ve been wondering how much of this can become canon though, it’s a neat area of the Periphery that needed love anyway. I’m honestly surprised that we haven’t heard of newly updated “Periphery Sourcebook” from Catalyst that canonizes the events of this game. I’m aware of, and love, your Battle Tech and ‘Mech world. But I’m not a table top player. And I do like to come here and read your articles, because I love the lore. So I’m just aware of your stuff and like reading all about it. What I am though is a total computer game nerd. I love video games. All different sorts. I’m thrilled that you love the BattleTech game. And I’m really happy that you think it’s captured something of the world you all obviously care about so much. This is great…. Because… BattleTech is also just a fantastic game in and of it’s own right. Some of that greatness will come from the rule set and the rich lore and feel your universe and game system affords it – however we’ve also seen other game systems who’s transition to a video game – despite us wanting to love them – they sucked.. A bit. BattleTech is excellent. It’s a fantastic game. And on behalf of all the Gamers I’d like to thank you all. This is a total classic and I’m glad it’s selling well. 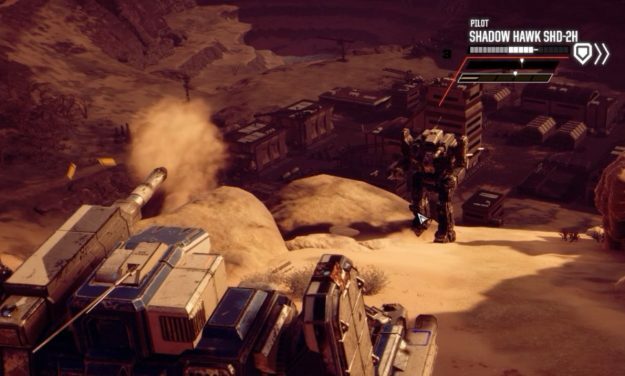 Combined with the love us gamer have for Mech Warrior Online, and now this BattleTech game, your “IP” is really shining brightly. I’m really looking forward to Mech Warrior 5 this Christmas. You know your Universe has gone mainstream when random people know what a Catapult or a Raven looks like.